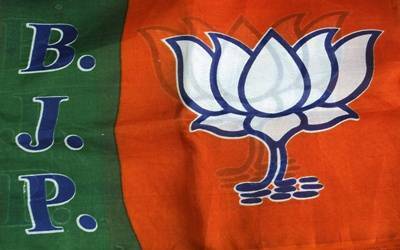 Jammu, April 30 (IANS) The Bharatiya Janata Party (BJP) will induct five new faces in the Jammu and Kashmir Cabinet and has also decided to drop three ministers in the much-awaited coalition ministry reshuffle slated to take place on Monday. Deputy Chief Minister Nirmal Singh, Health Minister Bali Bhagat and junior Minister Priya Sethi will not be included in the new council, Top party sources said late Sunday. "Assembly Speaker Kavinder Gupta will be the new Deputy Chief Minister. Nirmal Singh who will be named the new Sspeaker of the state Legislative Assembly," the sources said. "The other legislators who will be inducted into the cabinet today are Sat Sharma, Rajiv Jasrotia, Devender Maniyal and Shakti Parihar. "Parihar will be sworn in as a junior minister while the other four will be of cabinet minister rank. "Among the existing ministers, Sunil Sharma will be elevated to cabinet rank," the sources added. The Peoples Democratic Party (PDP) is also inducting two new faces into the council. Pulwama MLA Muhammad Khalil Bhand and Sonawar MLA Muhammad Ashraf Mir will be sworn-in on Monday. State Governor N.N. Vohra will administer the oath of office and secrecy to the new ministers at the Convention Centre here. Portfolios of the Council of Ministers will be announced by Chief Minister Mehbooba Mufti later on Monday.